Our committee, after extensive review of primary data concluded that Dr. Gupta was not at fault but one of his lab staff had been sloppy in the preparation of gels. After publication of our article , errors were noticed in the composition of data in Figures threeC, fiveD and sixA (Figs. 1c,2d and 3a here respectively). The data from original gels were incorrectly compiled or modified by the first author, Dr. K. Cheng, which was not noticed by the other authors. The 2010 paper has been cited once, according to Thomson Reuters Web of Science. The correction addresses issues that were raised by commenters on PubPeer in 2014. 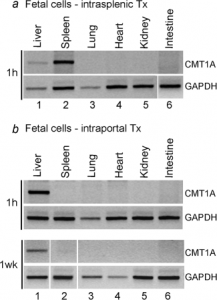 The authors have also corrected “Hepatic targeting and biodistribution of human fetal liver stem/progenitor cells and adult hepatocytes in mice,” published in 2009 by Hepatology and cited 23 times. …errors in composition of Fig. 5A,B were noted recently. In column 6 of Fig. 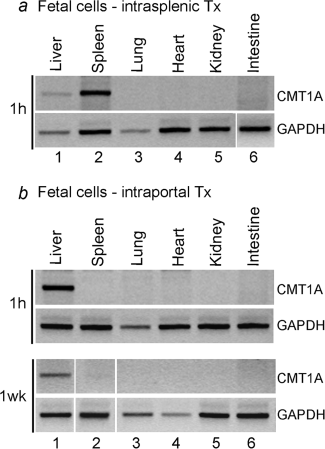 5A, GAPDH band for intestine was from a separate part of the gel, as correctly shown below. In Fig 5B for 1h, GAPDH band for liver was not included, leading to incorrect ordering of subsequent lanes, which should have been provided as shown below. In column 2 of Fig. 5B for 1wk, CMT1A and GAPDH bands for spleen were from a different gel, as correctly shown below. These errors did not affect data interpretation or conclusions. The erratum also addresses concerns raised on PubPeer in 2014. These came to my notice through communications from editors of the journals. They indicated concerns were raised by undisclosed reader or readers. No, Kang Cheng left my lab in 2009 after completing his contract and is no longer in science. I believe Kang Cheng performed his work with honesty. 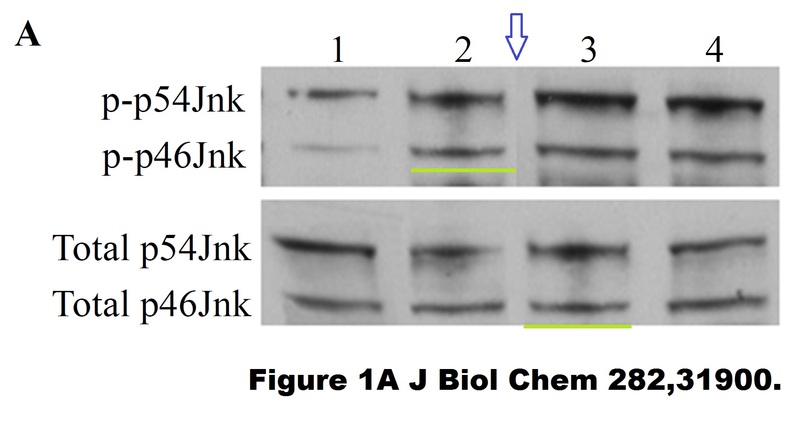 Obviously, some of the gels in these two papers were not properly represented, which certainly escaped my notice. However, review of original gels for the papers, including various replicates that approached nearly a hundred gels, indicated the findings, conclusions and discussion in the papers were all correct and had been reproducible. The errors did not confer any benefits whatsoever either for the papers or for Dr. Cheng. The editors of both journals reviewed original gels and were also in agreement with that determination. I think it’s very important to make distinctions between fraud and deceit versus genuine quality control issues or errors related to data compilations, gels, microphotographs, etc. Needless to say, we at Einstein make efforts continuously to inculcate sound practices and conduct in our trainees and colleagues, including by personal examples and formal coursework, but the process does require trust at multiple levels without the big brother (or sister) watching over the shoulder at all times. In my own case, these instances have been learning experiences for enhancing oversight of trainees. We asked Gupta about the papers questioned on PubPeer that don’t list Cheng as a co-author; he has not yet replied to that question. We reached out to the editors of both journals for more information. 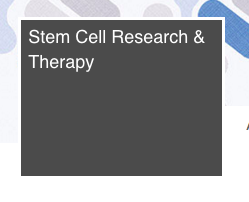 The editor of Stem Cell Research & Therapy passed our query on to a spokesperson for the journal’s publisher, BioMed Central, who declined to comment. Switching of mesodermal and endodermal properties in hTERT-modified and expanded fetal human pancreatic progenitor cells. Cheng K, Follenzi A, Surana M, Fleischer N, Gupta S.
Stem Cell Res Ther. 2010 Mar 15;1(1):6. Antonia Follenzi, has Pubpeer entries without S Gupta. J Biol Chem. 2007 Nov 2;282(44):31900-8. Epub 2007 Sep 11. Role of MAPK phosphatase-1 in sustained activation of JNK during ethanol-induced apoptosis in hepatocyte-like VL-17A cells. Venugopal SK1, Chen J, Zhang Y, Clemens D, Follenzi A, Zern MA. 1Department of Internal Medicine, Transplant Research Program, UC Davis Medical Center, Sacramento, California 95817, USA.